Alyssa (Weskolowski) Brown, ’11, is singing a very different shark song than the rest of the world. The SCSU nursing graduate and her husband, Zach, walked away from ABC’s shark tank as newly minted millionaires after pitching their invention on the show last week. 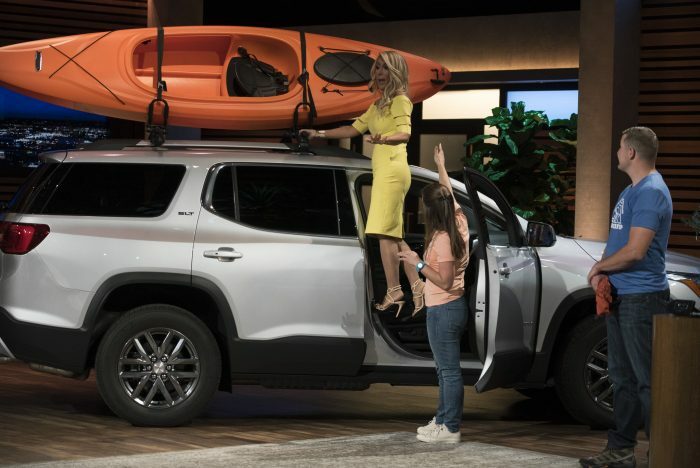 According to CNBC.com, “Zach, a firefighter, and Alyssa, an emergency room nurse, always enjoyed outdoor activities, like kayaking. There was just one problem: When they’d transport their kayaks (or bikes or snowboards) on the roof of their car, 5-foot-tall Alyssa would struggle to reach the roof to help take the gear down.